Check if email addresses on your marketing lists are deliverable. Send emails only to valid addresses and reduce bounce rates. Verify entire mailing lists or individual emails real-time using API. Reach the inbox and increase email open rates. Verify your marketing email lists before you send your next campaign. Reduce your email bounce rate to practically zero and protect your Sender Reputation with a clean email list. Validate email addresses with batch process. Or use REST API service to validate every email address in real-time as the user keys it in your Signup form. Connect your SendGrid account to verify your email lists and remove undeliverable and risky email addresses. Use this seamless integration to reach real customers. 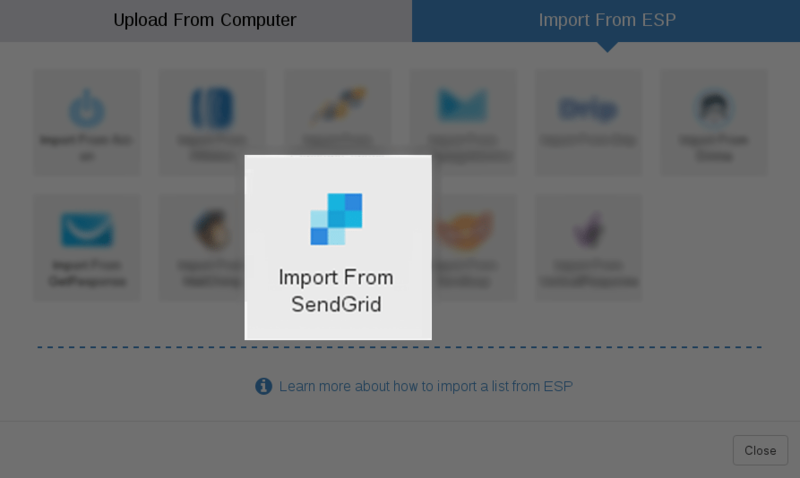 Import your existing SendGrid email lists to be verified with a few clicks. Post verification, you can choose email addresses to retain for the next campaign. Export verified emails back to SendGrid. Email addresses on your list will be classified as Valid, Invalid, Disposable, Role, Accept-all etc. It’s now easier to select only high-quality email addresses for your next SendGrid Campaign. Here are the documents to help you understand and use this SendGrid Integration better. Learn more, from the basics to expert opinion. Or start with our free offer to apply more of what you learn.